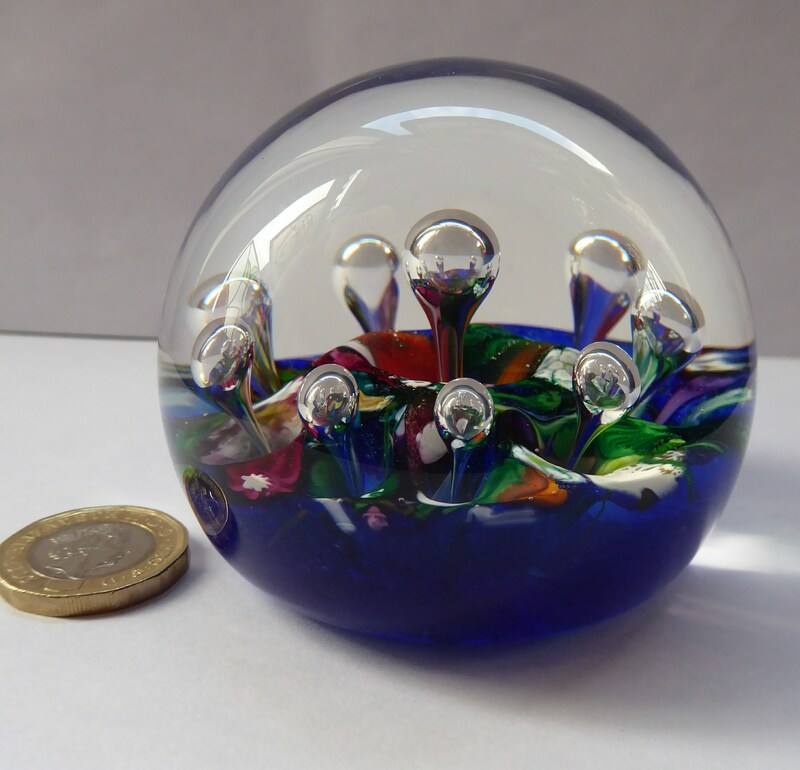 Early SELKIRK GLASS 1980s Scottish HARLEQUIN Paperweight. With etched inscription and date on the base & original paper label. 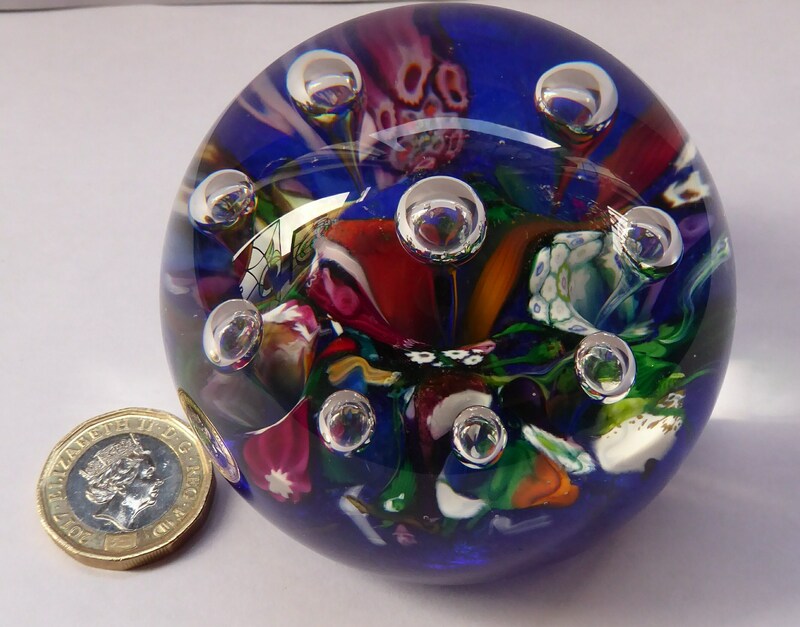 This is one of a selection of vintage Scottish paperweights which I am listing in my shop - all with very fair prices attached to them. 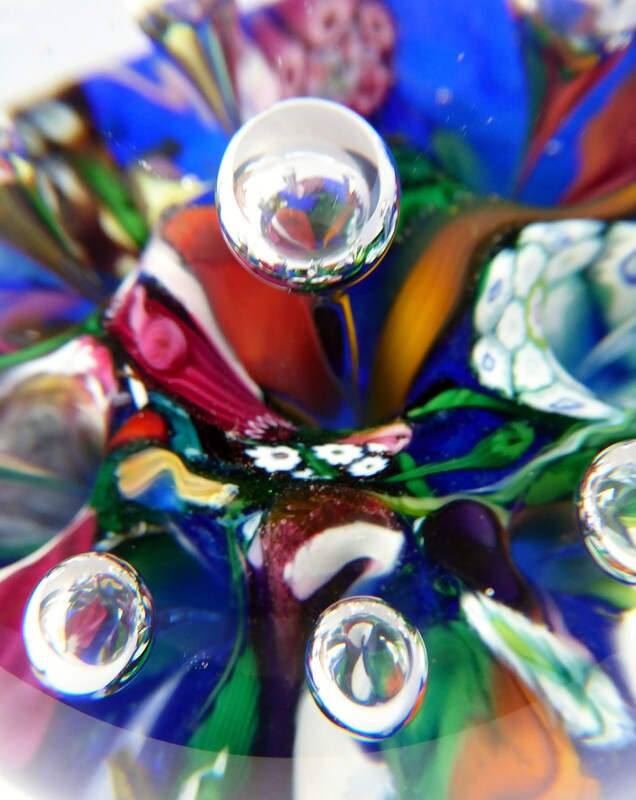 The one was made by Selkirk Glass in the Scottish Borders. It has an early Selkirk glass label on the base. It has an etched inscription as photographed - and is etched with the date 1980. 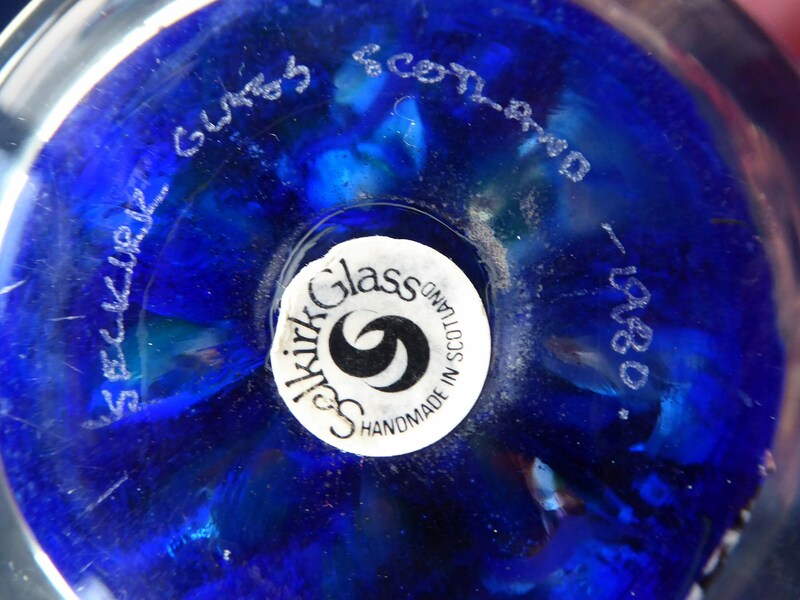 Selkirk Glass was set up by Peter Holmes and Ron Hutchison in 1977. Peter Holmes left in 2002. 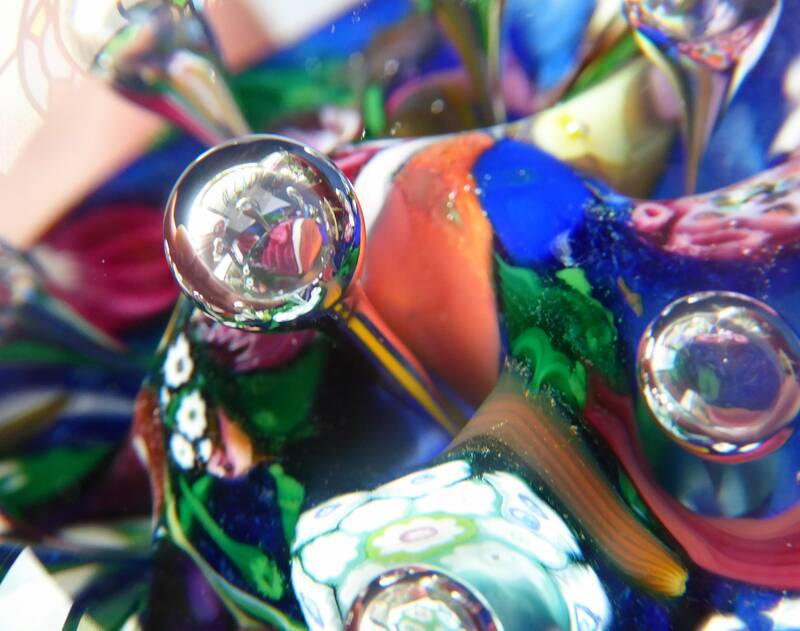 The company sadly closed in 2006 - so these beautiful weights are no longer being made. This 1980 weight is an early one - made a couple of years after the company was founded. 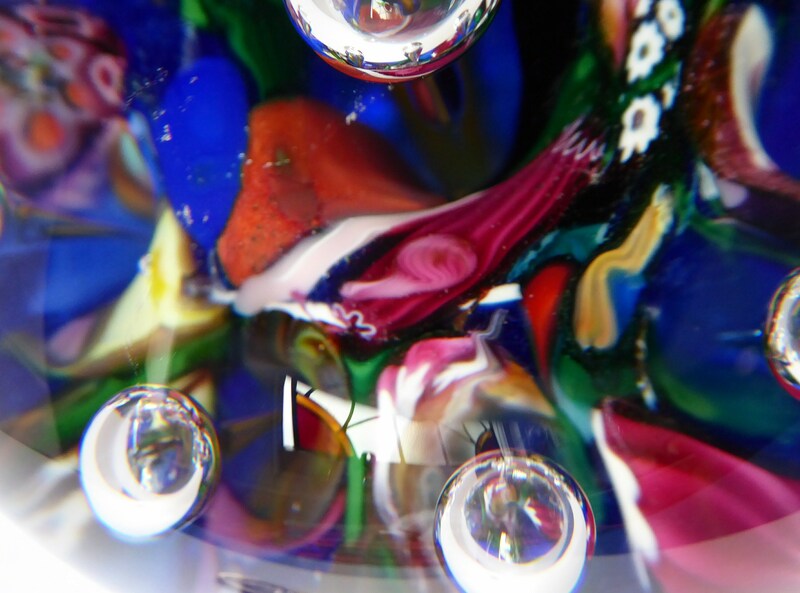 It has a height of 2 1/4 inches and a diameter of 2 3/4 inches. 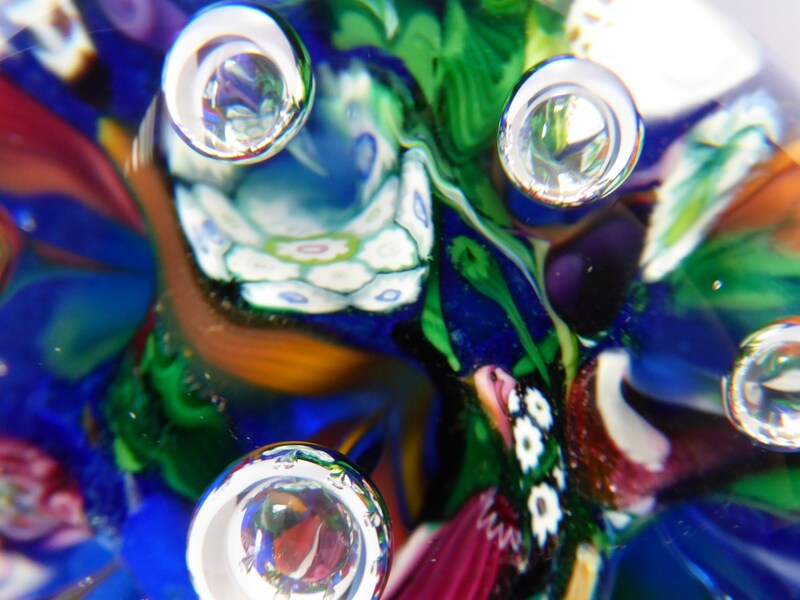 It is a very stunning paperweight with an inky Royal Blue ground or base - this is overlaid with another layer of harlequin glass made up of fused and swirls of melded millefiori slices and canes. 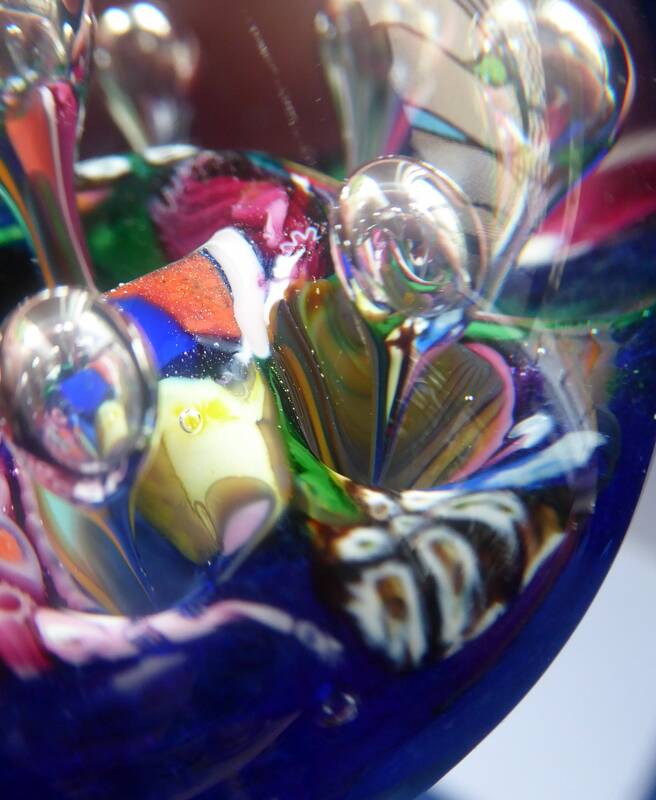 From the centre issues an elongated bubble - and around the rim edge is are another rising elongated bubbles. It must have taken great skill to have made this weight - and the quality suggests that it is an early Selkirk example by Peter Holmes. 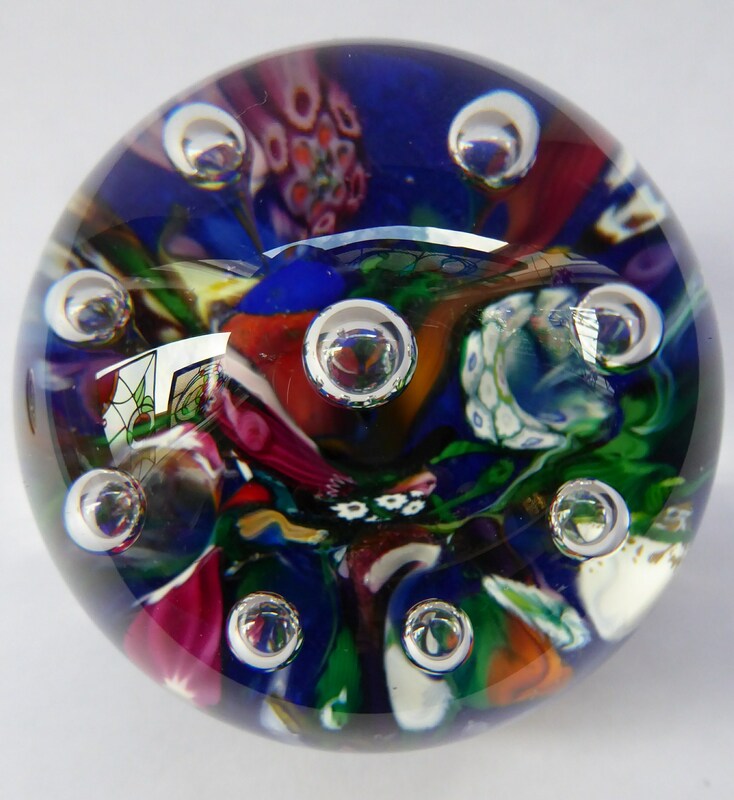 He made similar Harlequin weights when he was working at Caithness Glass. 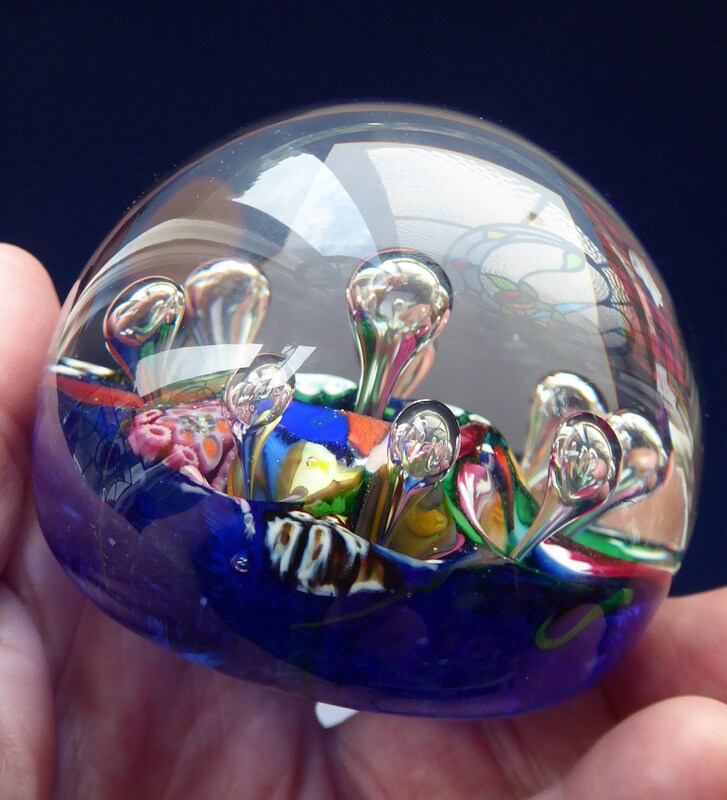 The quality of this weight is reflected in my fair price for this one.